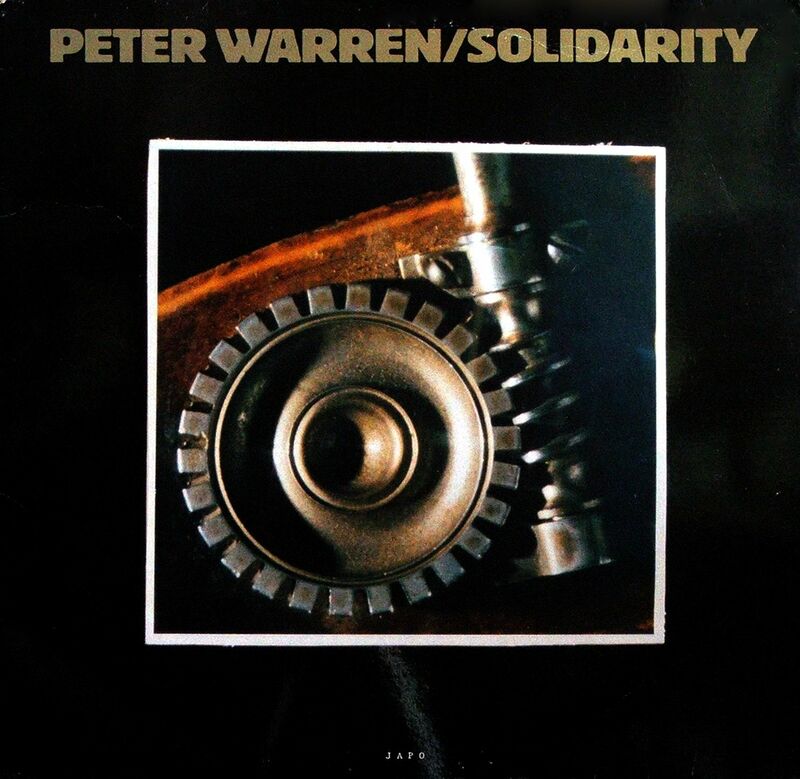 Bassist Peter Warren quite simply put out one of the finest albums in the JAPO catalogue: the long out-of-print Solidarity. Warren is one of a cadre of American jazz musicians who made a career for themselves in Europe, where his idiosyncratic approach was enriched and encouraged by the likes of Edward Vesala, Rolf Kühn, and Albert Mangelsdorff. In 1974, he returned to New York City, where he joined forces with Jack DeJohnette’s Special Edition, appearing on the classic ECM sessions Special Edition and Tin Can Alley. It was in that context where he also met reedman John Purcell, who along with the drummer was carried over into this phenomenal one-off band, rounded out by guitarist John Scofield and, for the set’s first half, trombonist Ray Anderson. Anderson dominates the starter, “Riff-Raff,” which emphasizes his fiery tone against a groovy backdrop. His energy proves infectious, taking root in Warren and DeJohnette’s spirited contributions to the playing field. Scofield responds with a well-constructed solo of his own, minimal by comparison but no less robust for its underbite, while Purcell’s alto croons and cries. The overall effect here, as in the title track that follows, is one of meticulous abandon, whereby the latter tune’s circular bass intro betrays nothing of the tension about to unfurl. Solidarity is characterized, among other aspects, by its ebb and flow, which at one moment may cast a spell and the next push through it like water through a broken dam. And with DeJohnette producing, the listener is left with an elusive but unquestionable winner. Listening to this right now, a gem. How did i not know about this earlier….